It seems a bit ridiculous to say that Friday's home game against Leicester is a must-win for Manchester United, though it likely is. 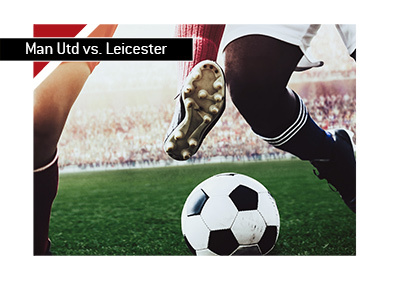 On Friday evening, Manchester United will look to build on last year's momentum when they play host to Leicester City in the opening game of the English Premier League season. Manchester City is expected to be just as good as they were last season, which means that Manchester United can not afford to give away points, especially against opponents like Leicester City, who are expected to finish in the bottom half of the table. This means that Man Utd, led by the likes of Pogba, will need to turn in a good effort on Friday. After all, there is nothing more that Leicester City would enjoy than handing Manchester United a defeat in their home opener. As mentioned, Manchester United was able to regain a great deal of momentum last season, as they finished in second place in the table with a total of 81 points, earning another Champions League spot in the process. The problem? Manchester City finished with 100 points, which means that Man Utd can not afford to give away any points at all. With Man City losing just 2 games last season, the other teams in the league won't be given much of a chance to catch up if they fall behind. Leicester City, on the other hand, was a middling club last season, finishing with a record of 12-11-15. Leicester City is likely in little danger of relegation, though they will be looking to recapture some of the magic from their title run a few years ago. As you can see, Man Utd is the clear favourite to win, though Leicester City will be doing their very best to play spoiler. Manchester United has a chance to be even better this season, as their relatively young club will likely be even more cohesive following a year of playing together. They will be put to their first test this Friday at home against Leicester.